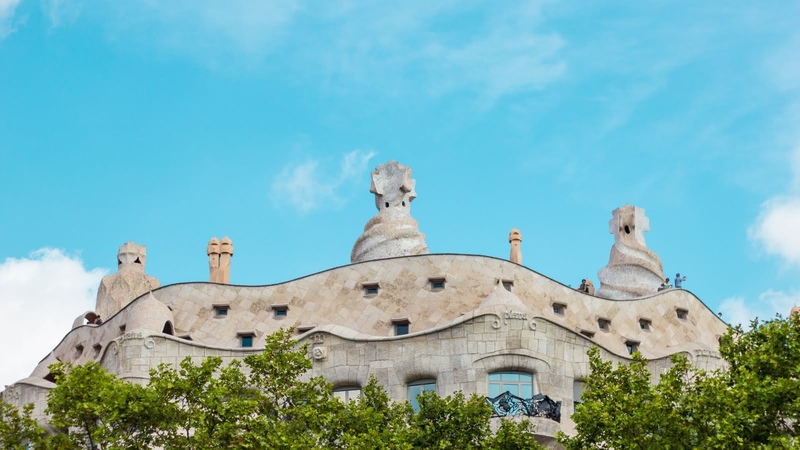 This 3-hour Gaudí and Modernism walking tour covers all the main sites of Antoni Gaudí and his work. 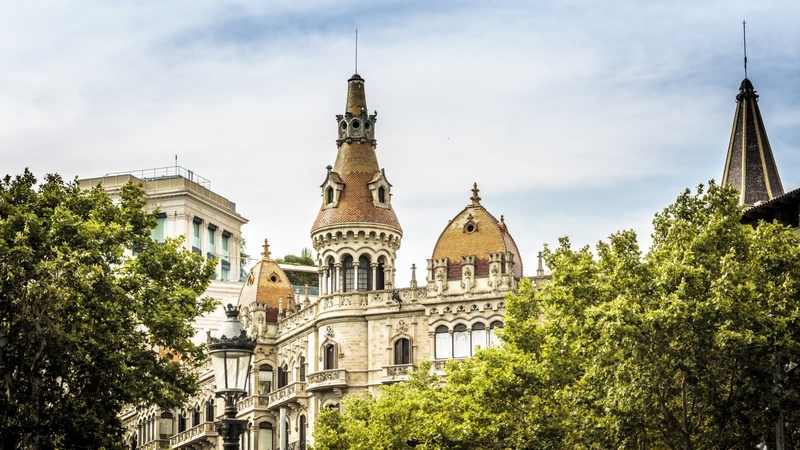 Visit the Eixample district, hear about the Modernism movement and, of course, see the world-famous Sagrada Família. During this tour we dig deep into the roots of the movement and explore the social unrest and political issues that the glossy guidebooks ignore. The result is an unforgettable portrait of one of the world’s greatest cities and a tribute to some of its most talented designers. 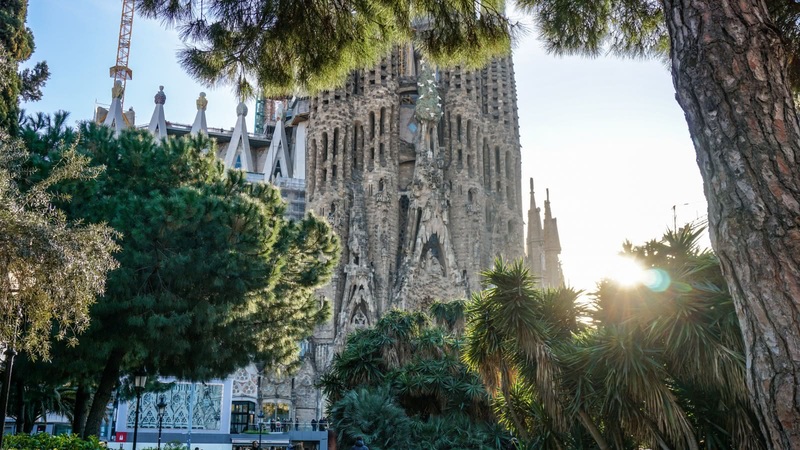 Your Gaudí and Modernism Tour starts by the Jaume I metro exit and finishes in front of the Sagrada Família. 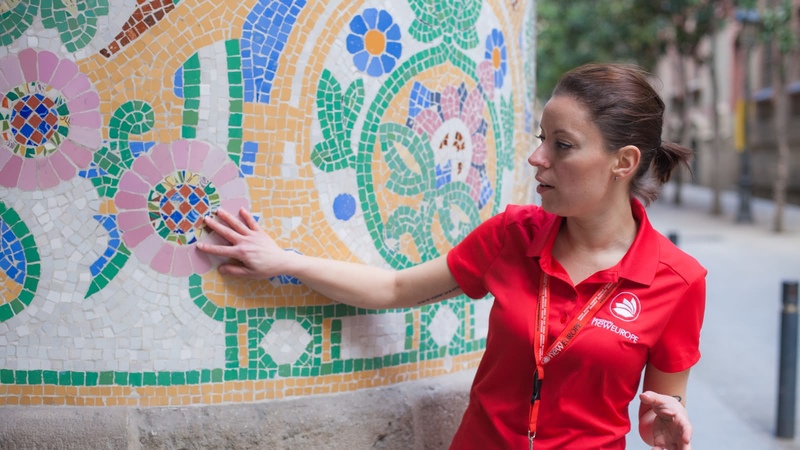 Your expert local guide will take you on a tour of the must-see sites related to Gaudí in Barcelona. 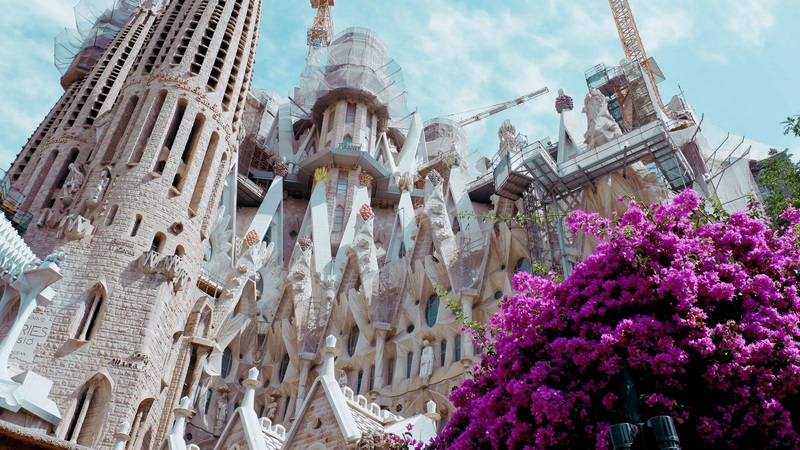 Millions come from around the world to see the famed Sagrada Família, but in fact, Gaudí’s stamp of genius is all over the city. 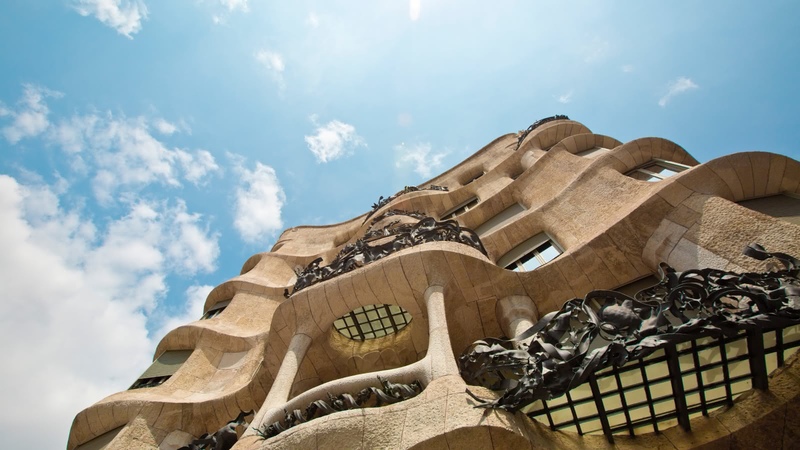 Visit the stunning residential building Casa Milá (La Pedrera). 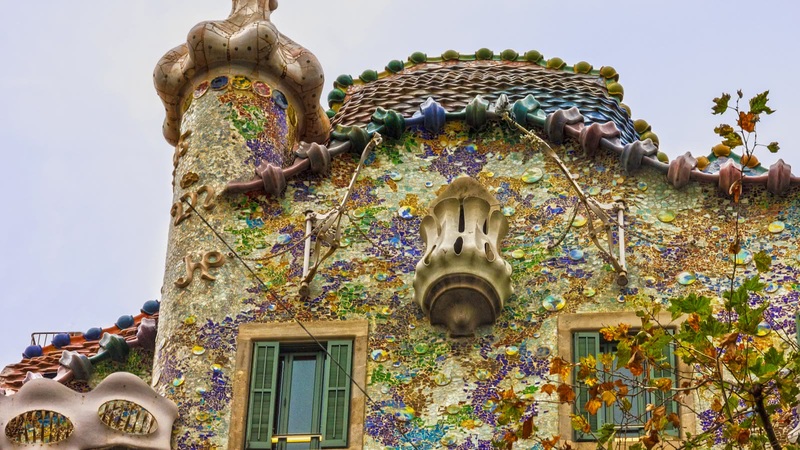 See the Casa Batlló, adjusted by Gaudí from conventional house to masterpiece. 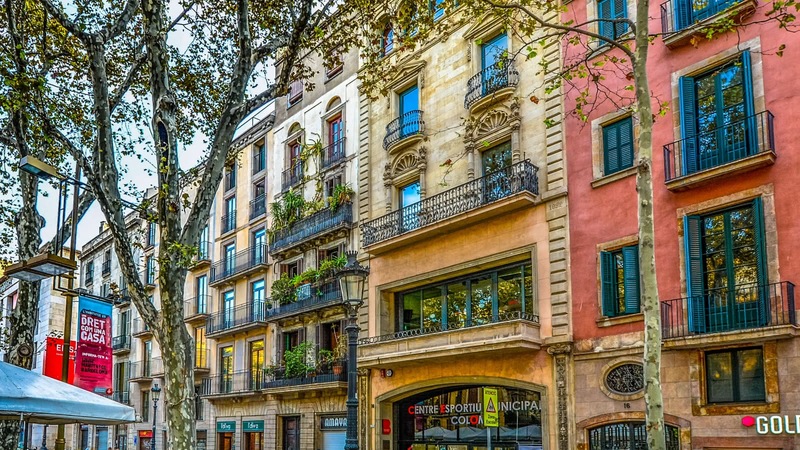 As you stroll through the Eixample district, you’ll see works not only of Gaudí, but also of other stars of the Modernism movement. Much of Gaudí's genius can be attributed to social upheaval and the political issues of the time. 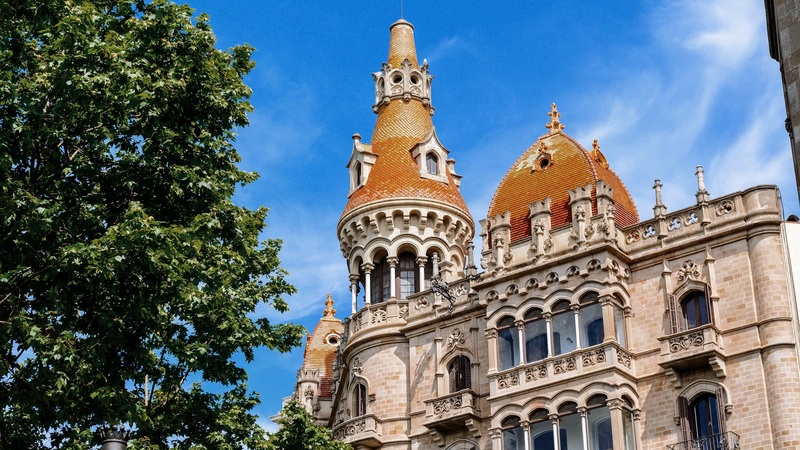 On this walking tour, your expert guide will not only show you Gaudí's Barcelona masterpieces, but will also tell you about major events that impacted him, like the Tragic Week, when the Spanish Army clashed with Barcelona’s working class. You will need this background to fully appreciate his genius and the Zeitgeist of when he developed his creations. Don’t just see the sites – hear about the life and genius of the man himself, including his poor health as a child, his devout Catholic faith and strict vegetarianism, unorthodox working style (he rarely drew complete plans), and of course, his tragic death. Super fun and informative Gaudi and Modernism tour! We had an amazing time on Onno's walking tour of Gaudi and Modernism. We had a group of about 10 people, which made for a nice, intimate experience. Onno was incredible - clearly very well versed in the history of artists in Barcelona, as well as Spanish history in general. He treated us to a fun, informative, interesting, and at times humorous tour. The tour lasted for about 2.5 hours, so just wear shoes you're comfortable walking in. Also: bring water if you're doing this tour in the summer! Definitely recommended whether you've been to Barcelona before or not. You'll discover some hidden gems of information that you'll be talking about for weeks (we still are!). We did the Sandemans Gaudi and Modernism walking tour yesterday. Our guide Patrick had all the information and interesting extras to share with us. Our tour finished at the Sagrada Familia where Patrick again shared all the details and had visuals of Gaudi and his plans to show us. An informative tour with a great guide. Our guide, Macu, was fantastic. He does a great job explaining Gaudi’s life through his design of homes through Barcelona and caps it off with a wonderful explanation of La Segrada Familia. 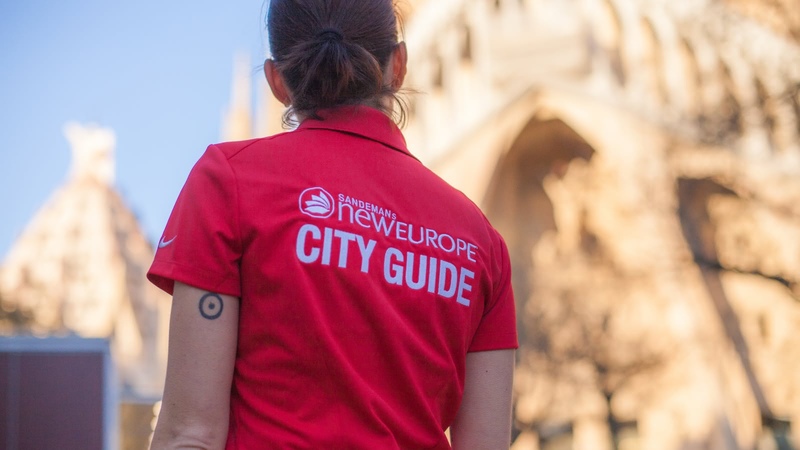 On a side note, take the Free tour of Barcelona first. That way, you have some great perspective of the city and can then get more detailed with Gaudi. We went on the Gaudi Modernism tour with Jimi. This was my first Sandeman's tour and I was blown away! Jimi is incredibly knowledgeable and at the same time very approachable. He brought the art and architecture to life. We went on this tour after already visiting the Sagrada Familia and doing the audio tour there. We learned so much about the Sagrada from Jimi - he enabled us to see things that we had missed the day before. He was incredibly detailed and thorough and really captivated us with the stories. I highly recommend this tour and Jimi as a guide, even if you think you already know about Gaudi or the Sagrada Familia! We paid for this tour after hearing about it on the free walking tour and we do not regret this decision!!! Our tour guide was Macu - cheeky, funny and so informative. It was a fantastic insight into the architectural history of Barcelona and into Gaudi’s life and works. We just so happened to get our tickets for the Sagrada Familia for 1.45pm and the 10.30am tour finished at about 1.15pm so we managed to keep the flow of learning!! Would 100% recommend this and hopefully you get Macu as your guide as he was lovely! I took numerous notes on my phone of interesting facts and information to follow up on later. It rained for most of the tour but this didn’t really dampen our spirits, if you happen to get a wet day for it don’t let it put you off, it’s still a good way to spend your time in Barcelona.